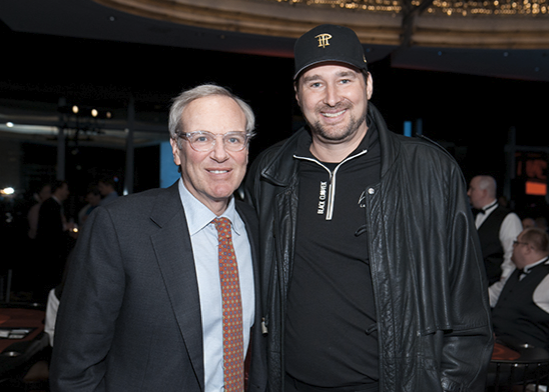 WPT Foundation and CHOP All In For Kids Charity Poker Tournament Raises $725K! Proud of my pops, who finished THIRD in the Children’s Hospital of Philadelphia and WPT Foundation All In For Kids charity poker tournament! Go dad!! The event was a smashing success and raised $725,000. 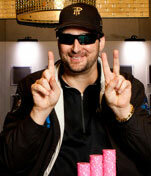 Article and photos reposted from WPT Blog. Hosted by poker legend Phil Hellmuth and attended by some of the biggest names in pop culture, sports, business and poker, the Children’s Hospital of Philadelphia and WPT Foundation All In For Kids charity poker tournament – sponsored by partypoker and held last night at the Mandarin Oriental Hotel in New York City – was a huge success, raising more than $725,000 for the Palliative Care Program at The Children’s Hospital of Philadelphia. I’m in NYC this week to host the annual All in For Kids Poker Tournament at the Mandarin Oriental Hotel. I’ve been involved with this event for years, and it’s one of my favorite ways to give back. 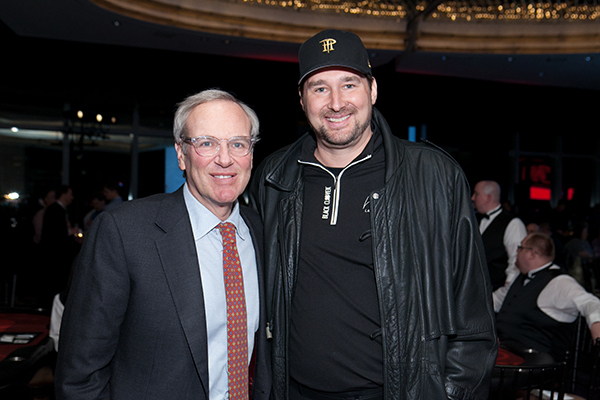 The tournament brings together celebrities, athletes, and World Poker Tour professional players with Hospital Trustees, donors, and grateful families for an exciting night of poker to benefit Children’s Hospital. To date, the tournament has raised $4.3 million. And you don’t have to be at the poker table in NY to contribute – just visit All In to donate. Every little bit helps! Check out this video (courtesy of Bluff Magazine) of me going down in a dunk tank! All for charity – the tank (at this year’s WSOP) was sponsored by One Drop, a non-profit organization that strives to ensure clean water is accessible to all. One Drop is an official partner of the WSOP and their goal is to raise $1,111,111 by challenging players to donate 1% of their winnings. Great feature written by Chad Holloway at Poker News highlighting my annual Kentucky Derby Charity Poker Tourn.! Celebs, athletes, and poker – it’s the best Derby party, period! On Thursday, May 2, 2013 the Derby Poker Championship Celebrity Gala will return to Louisville, Kentucky, for a fourth consecutive year. The event, which benefits the Louisville affiliate of Susan G. Komen and Blessings in a Backpack, will be hosted by Hall of Fame basketball coach Denny Crum and poker pros Phil Hellmuth and Robert Williamson III. In the past, the event, which serves as the Official Welcome Party for the Unbridled Eve Celebrity Gala, has attracted an array of high-profile Derby guests including comedian Ron White; the Real Housewives of Orange County’s Vicki Gunvalson; best-selling author Nora Roberts; The Offices’ Oscar Nunez; former NFL quarterback Warren Moon; pro golfer Corey Pavin; Indy car driver Troy Hanson; and The Bachelor’s Bob Guiney, just to name a few. 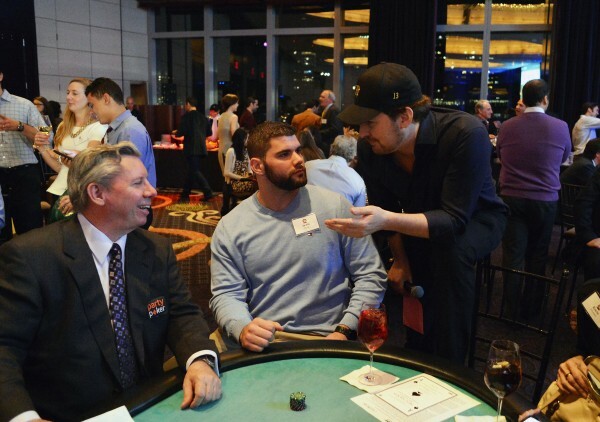 We raised almost $800k over the weekend at the annual “All In” for Kids Poker Tournament, sponsored by The Children’s Hospital of Philadelphia. This is the 5th anniversary of the tournament, which has raised close to $5M for the hospital. I was proud to be back as Emcee!! This interview pretty much nails my philosophy on poker and philanthropy. After a HUGE loss to Phil Ivey ($536k in Chinese Poker!! ), I got on the phone with my wife and we sent checks out immediately to Hiefer International and Doctors Without Borders. Whether I’m winning big or losing big, it’s important to me to always look forward and to give back to causes I care about!